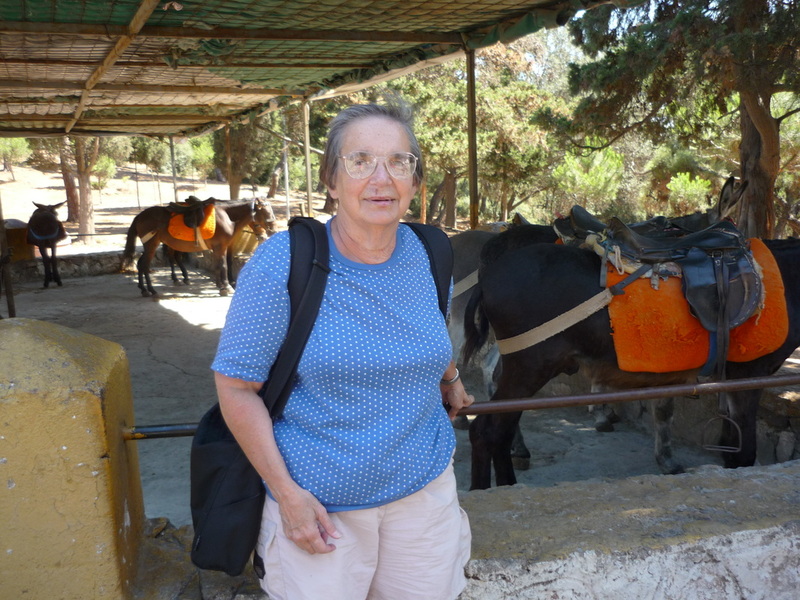 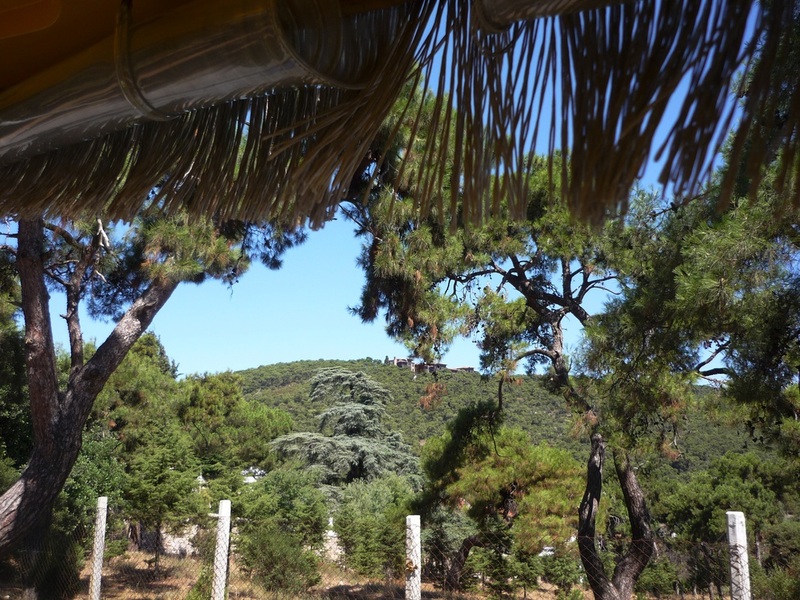 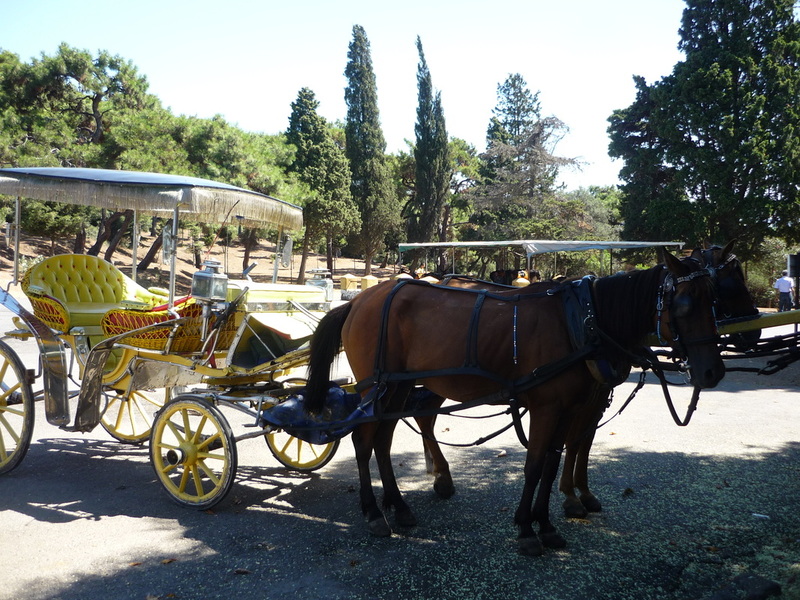 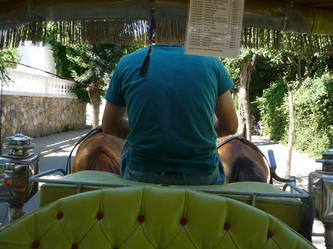 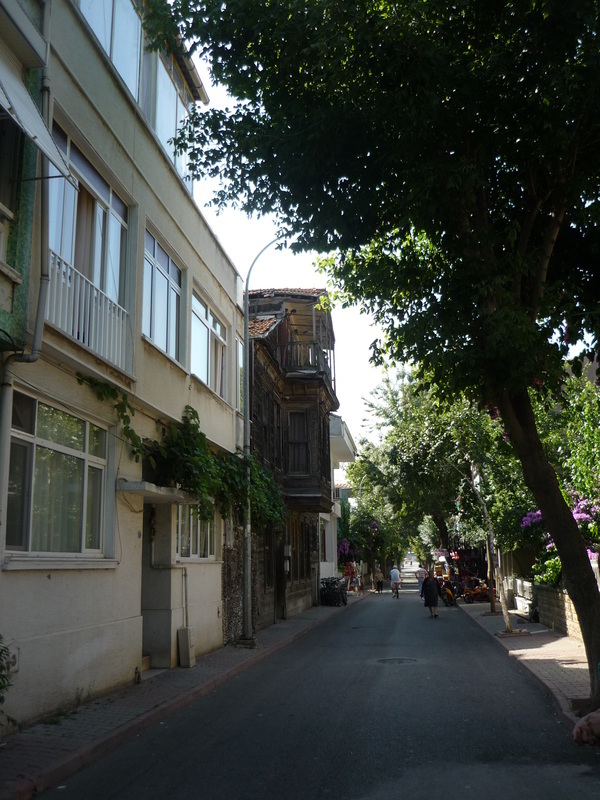 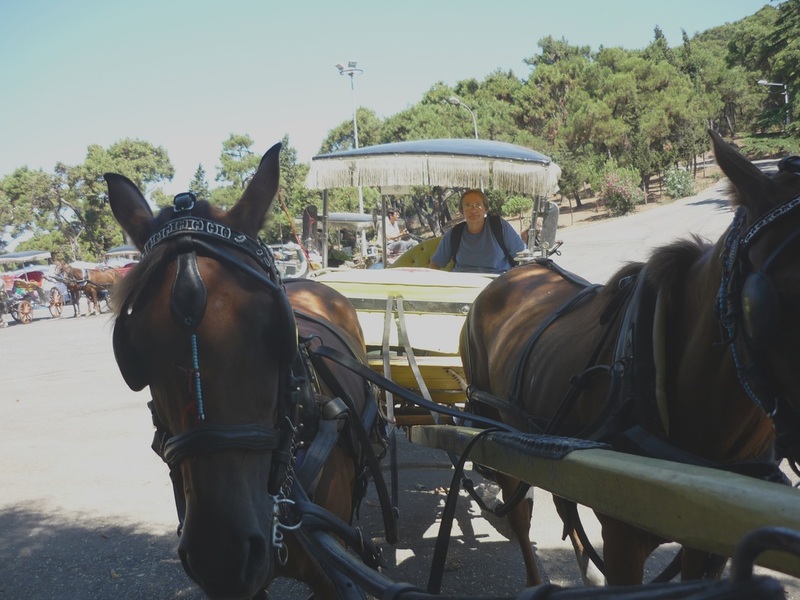 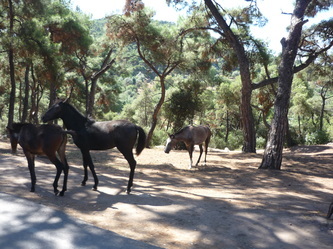 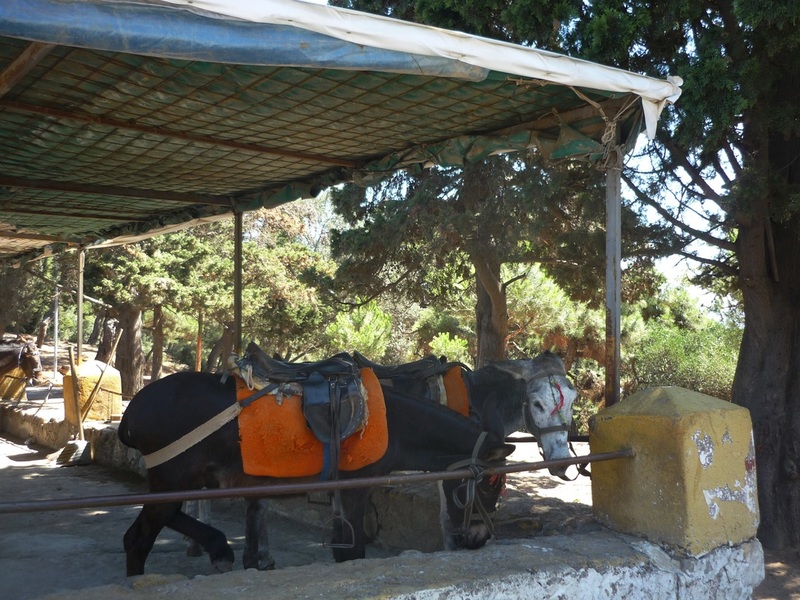 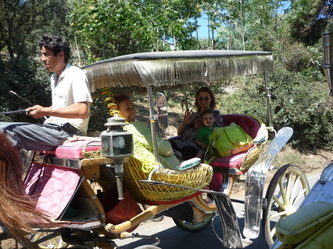 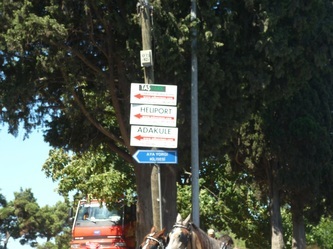 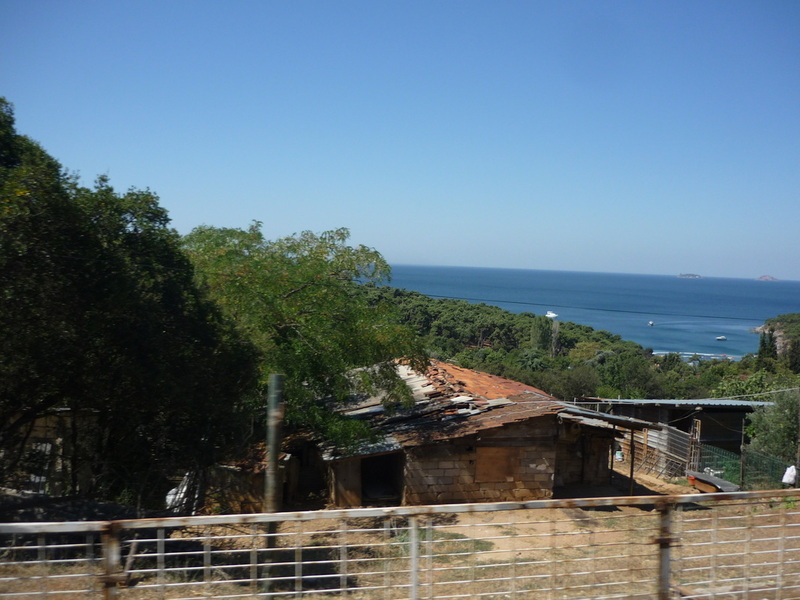 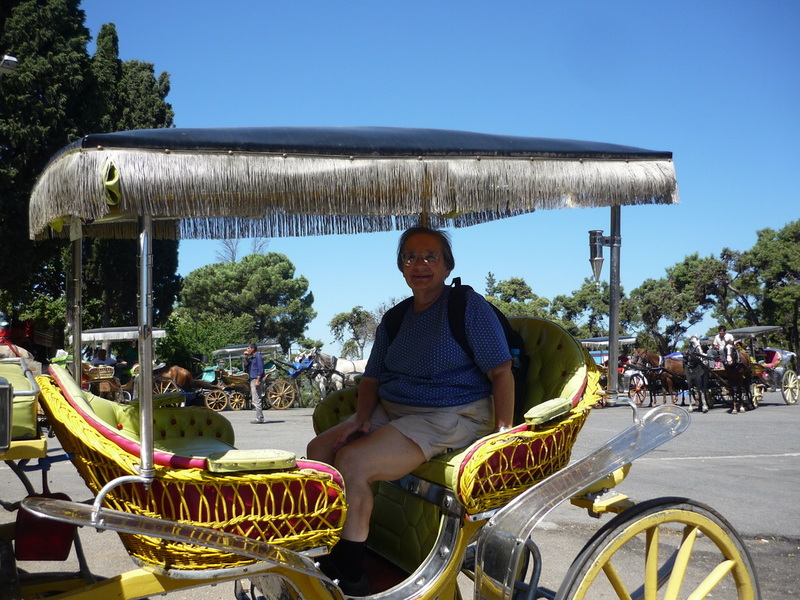 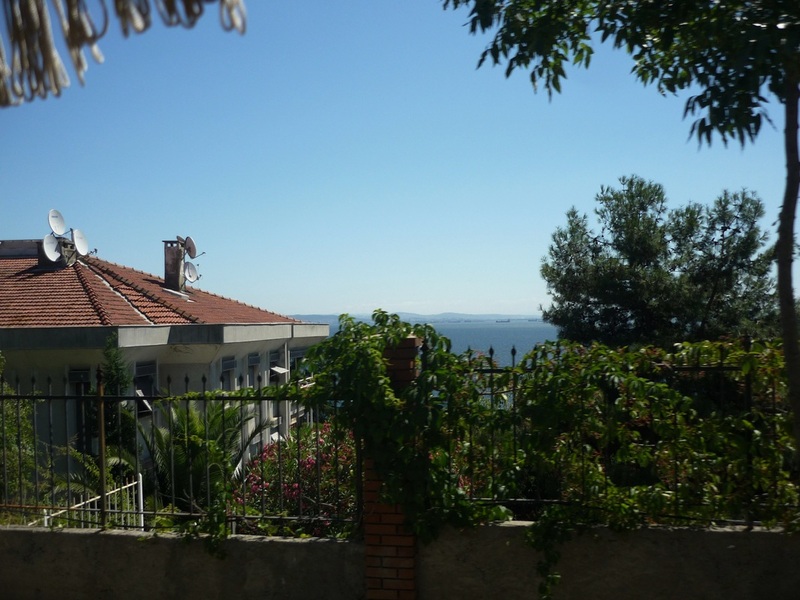 When you take the horse cart ride on Buyukada, it is hard to get photos. 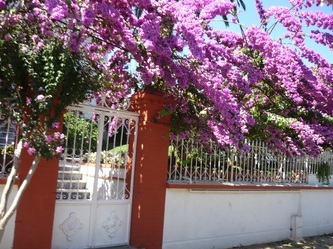 This one of gorgeous flowers in someone's yard was taken at the end of the ride. 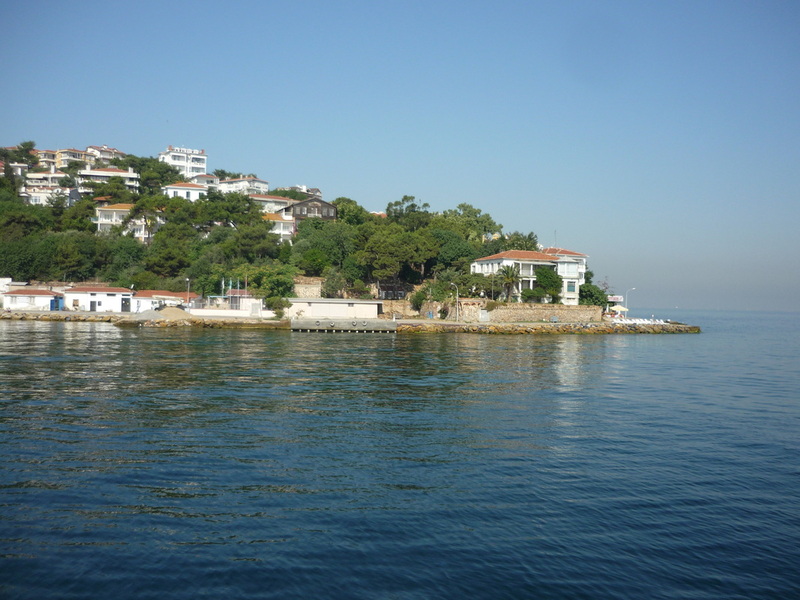 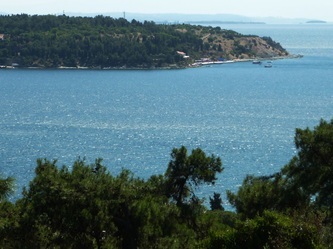 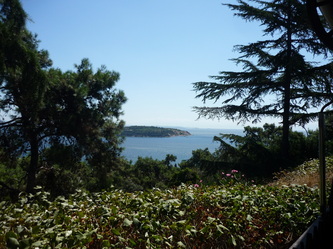 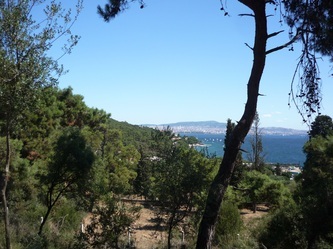 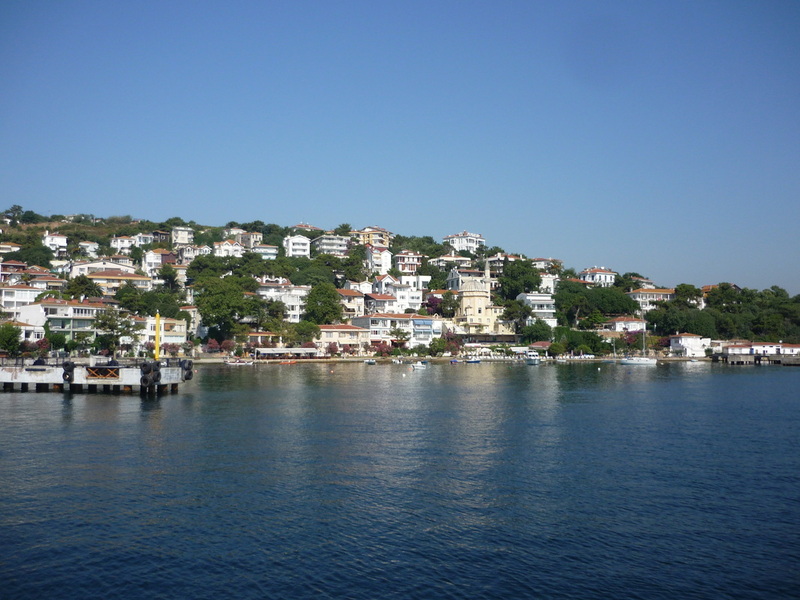 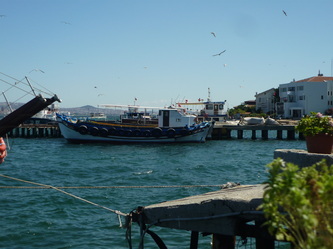 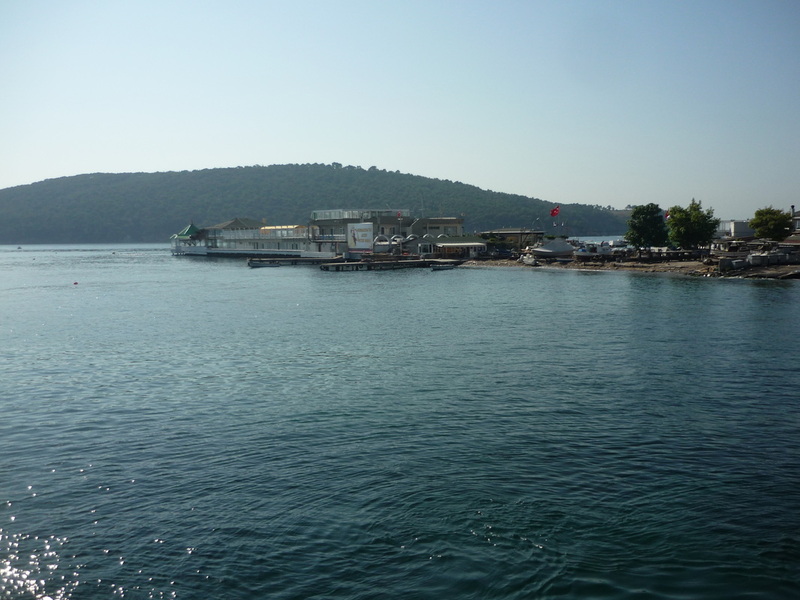 Off the coast of Istanbul there are 4 islands collectively referred to as the Princes Islands. 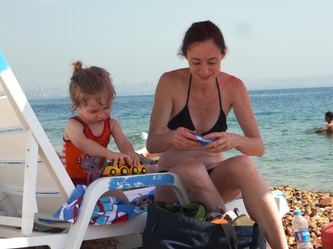 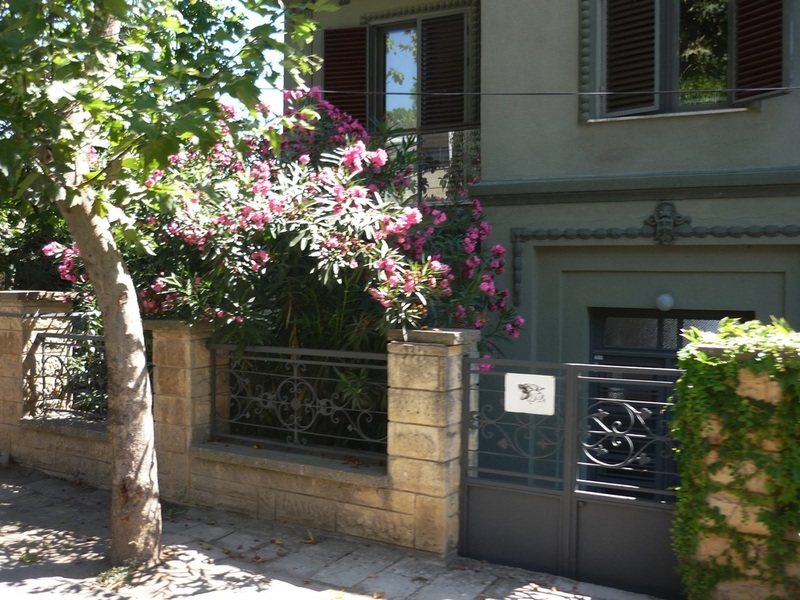 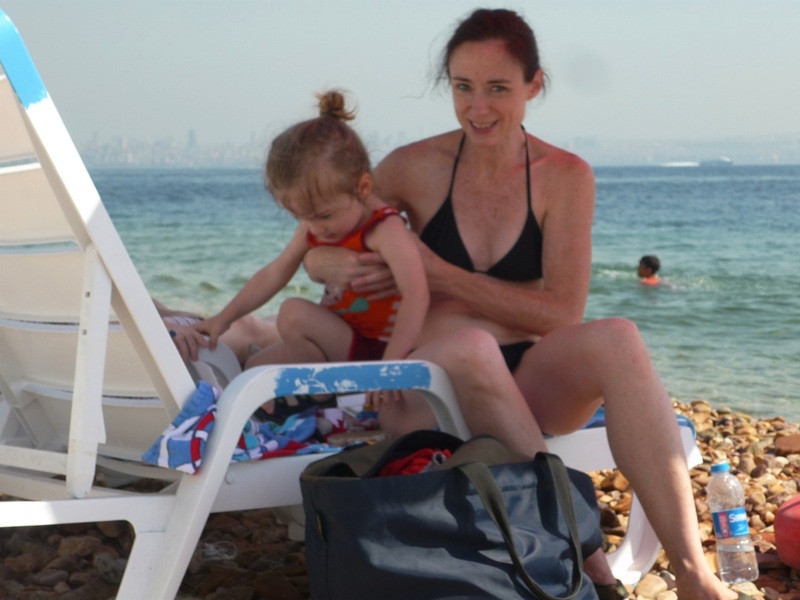 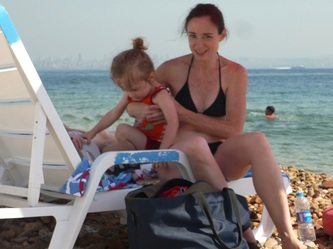 You can take a ferry from the European side of Istanbul (and, if you are staying in a hotel in Istanbul, that is probably where you will be), but AlteCocker was a good deal east of that on the Asian side and went from Bostanci--a relatively short distance from where she lived. 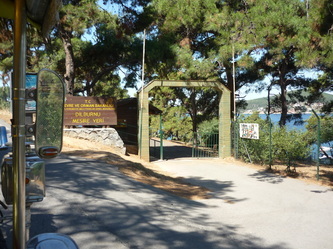 The first time AlteCocker went she visited Kinaliada. 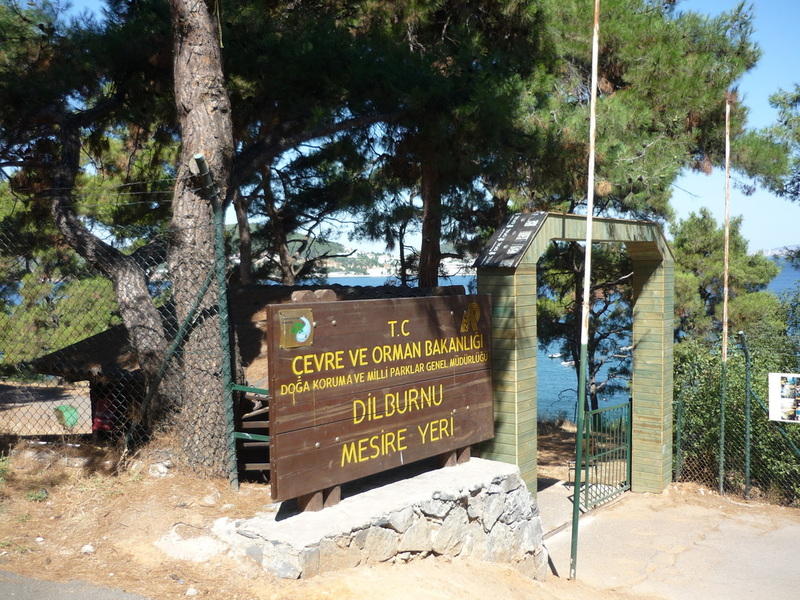 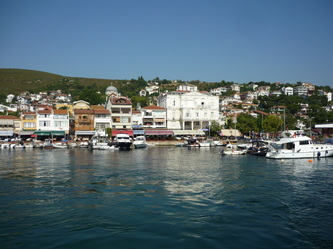 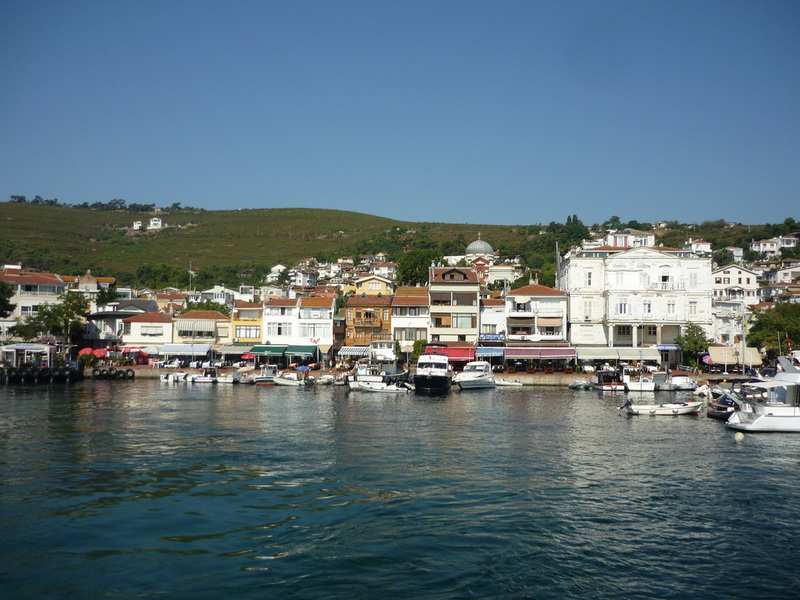 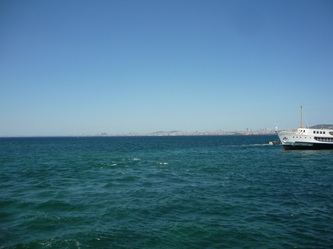 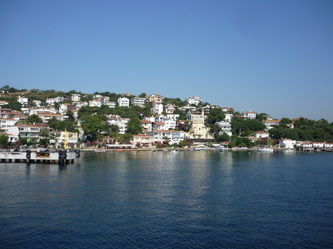 The second excursion was to Buyukada. 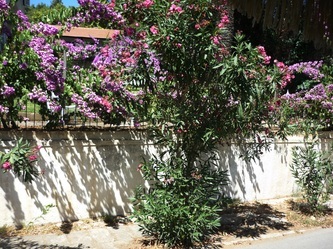 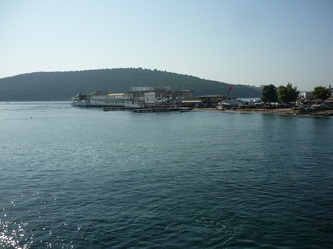 The word "ada" in Turkish means "island". 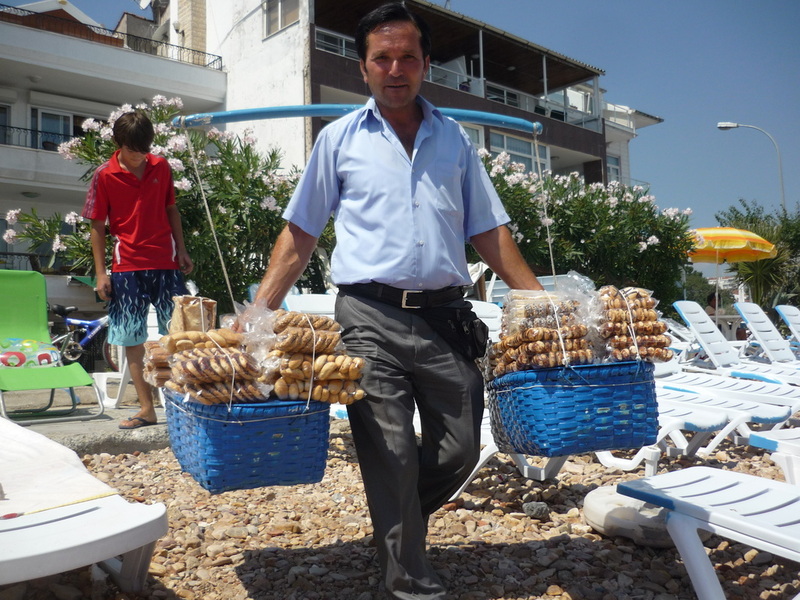 The word "buyuk" means "big", if my memory serves me correctly. 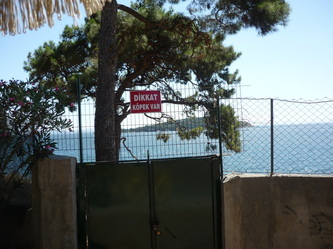 No idea what "kinali" means. AlteCocker's Turkish is pretty sketchy despite having got through 23 lessons of Pimsleur Turkish before the trip. 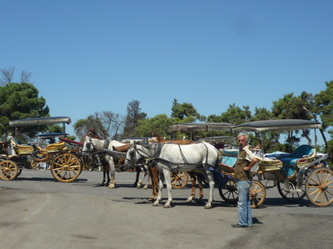 On the first excursion AlteCocker went with some expatriates who spoke English. 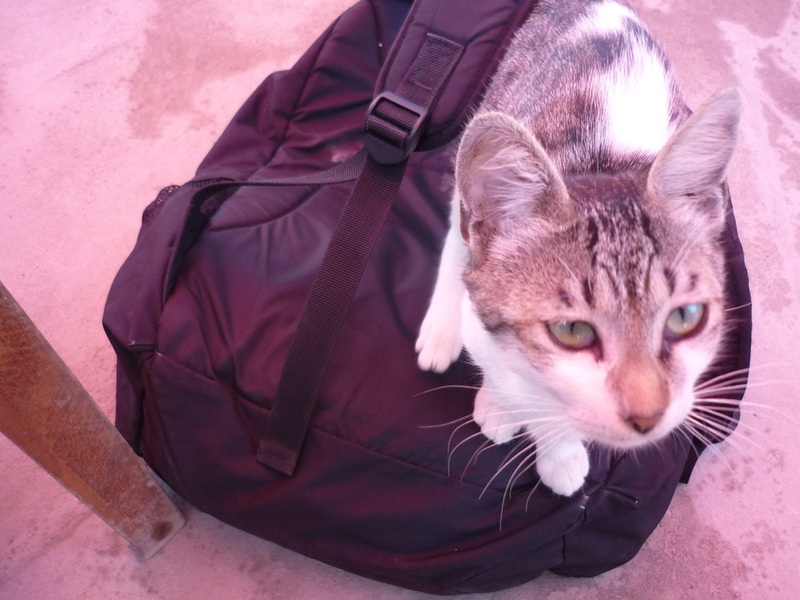 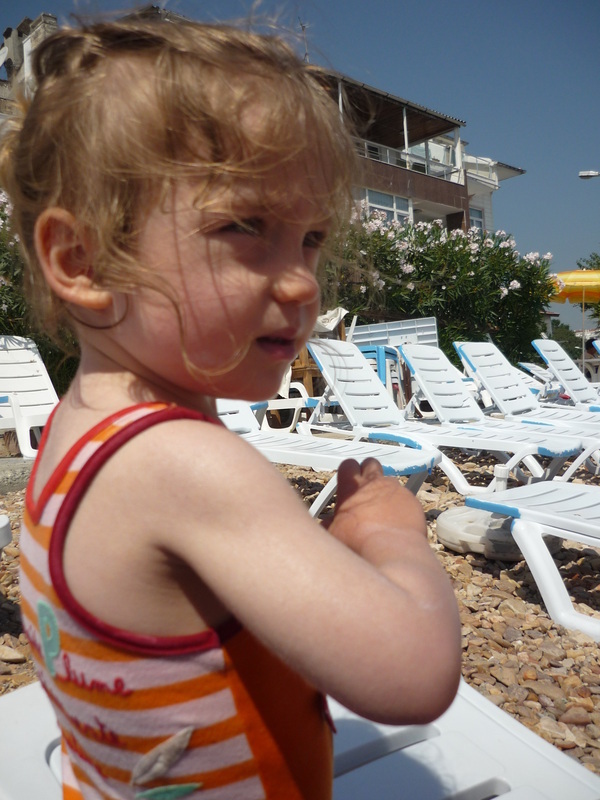 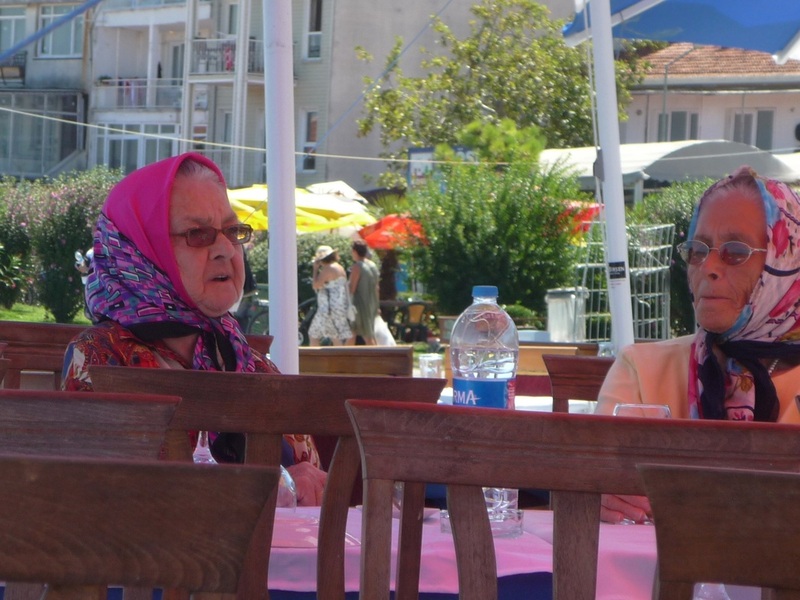 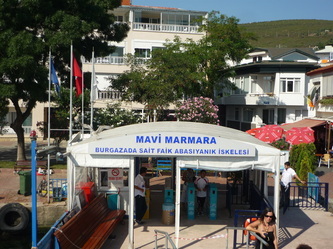 On her trip to Buyukada, she went solo. 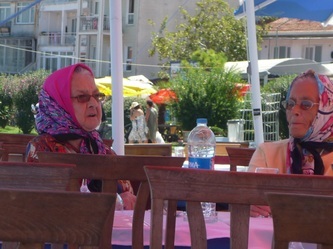 On Kinaliada, aside from the people AlteCocker was with, she heard English spoken exactly once. 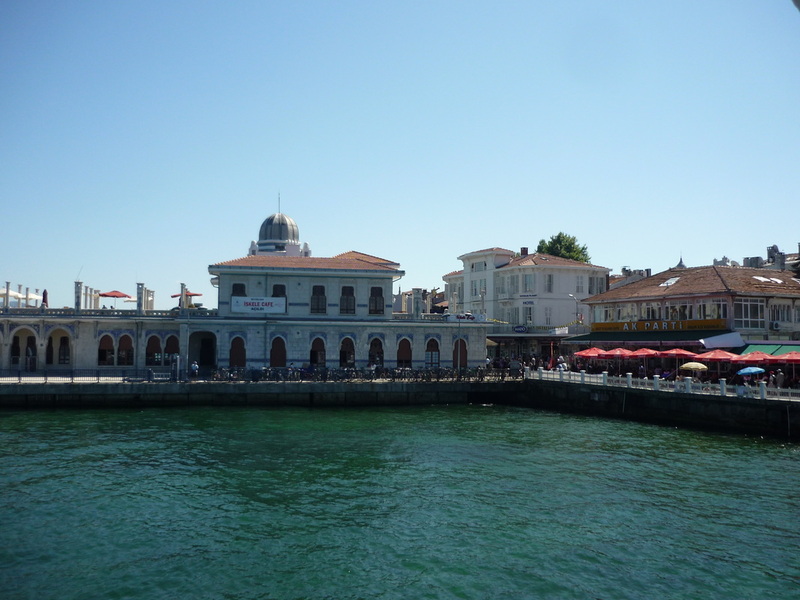 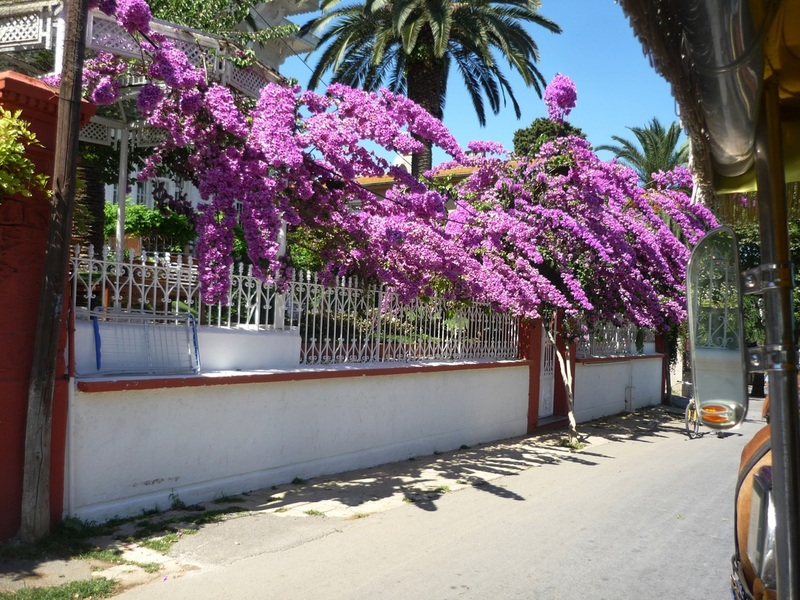 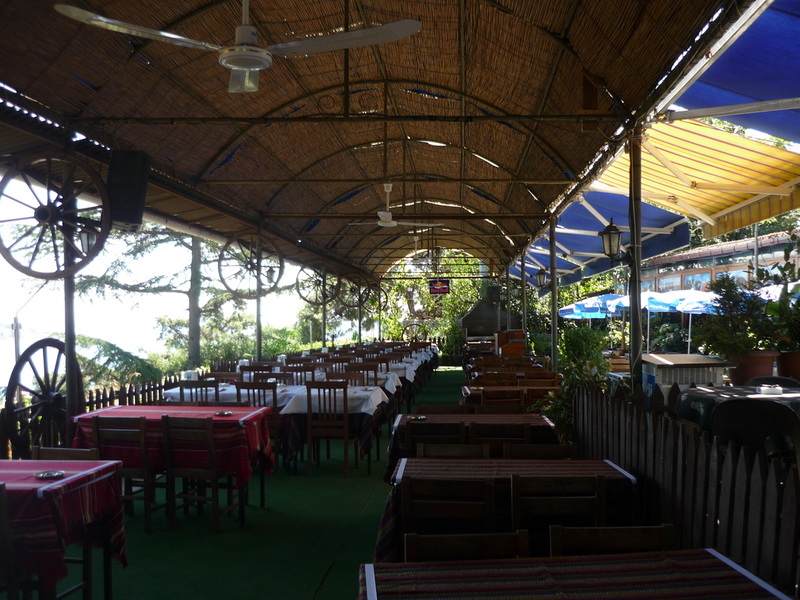 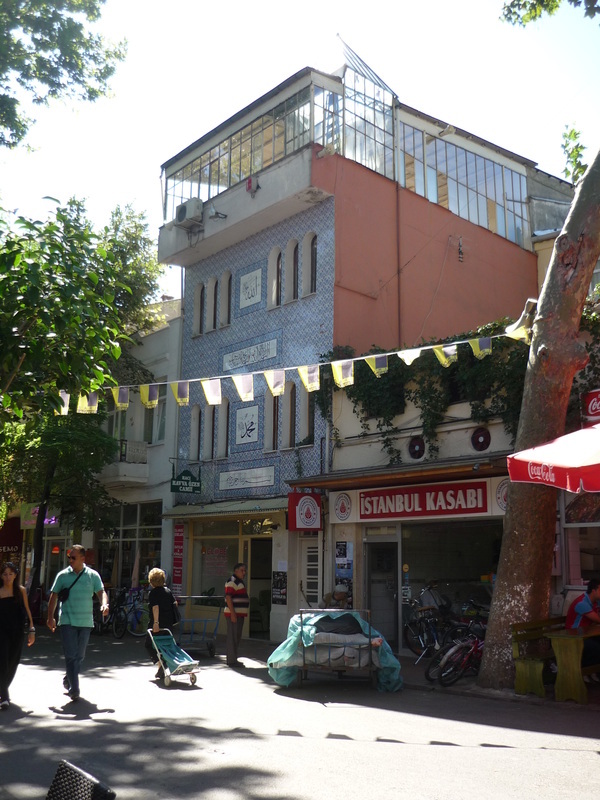 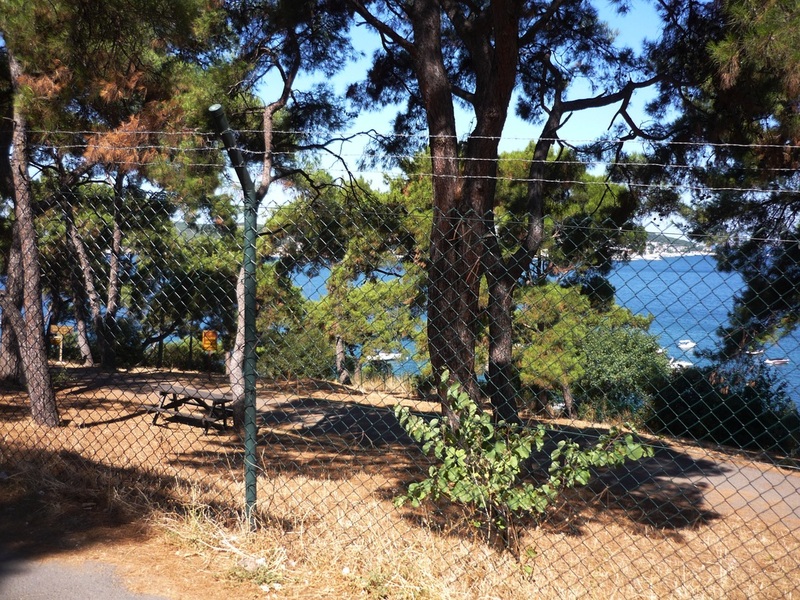 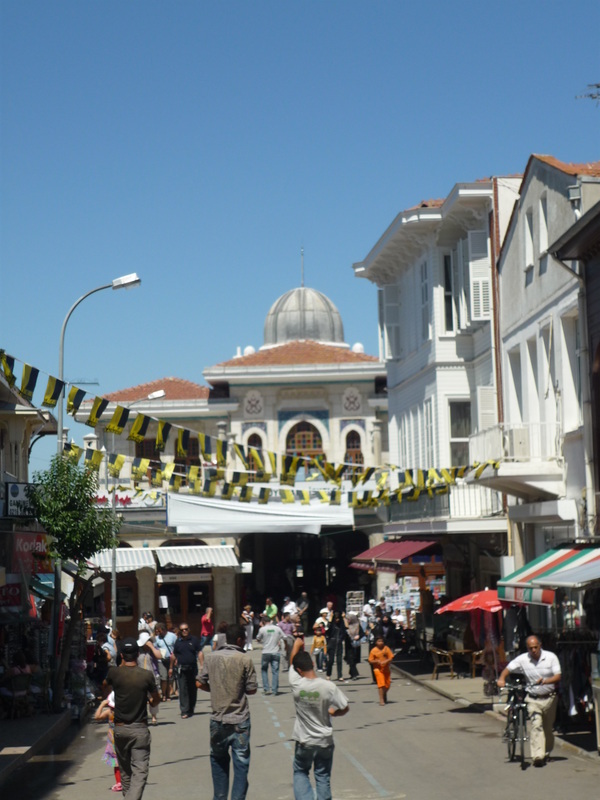 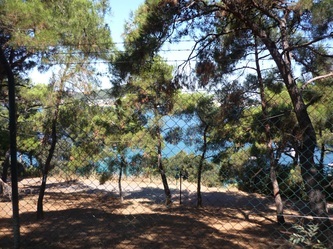 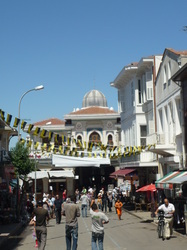 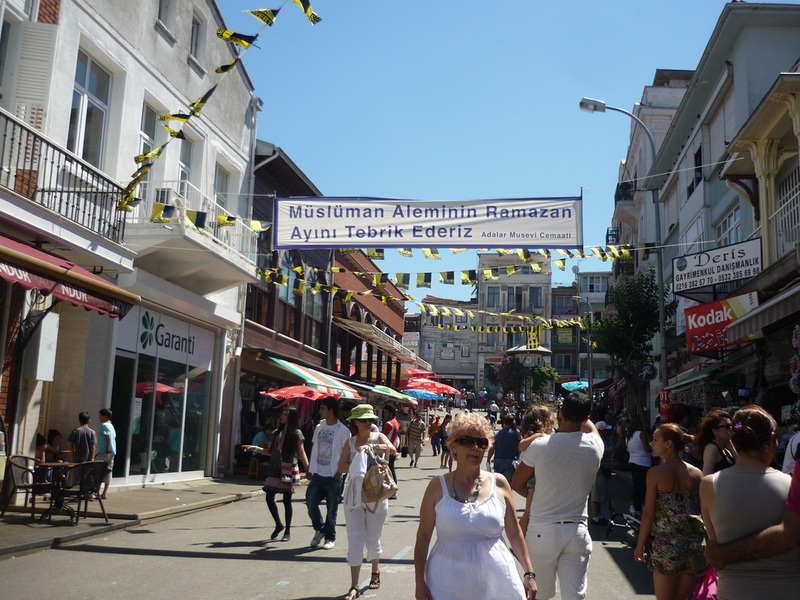 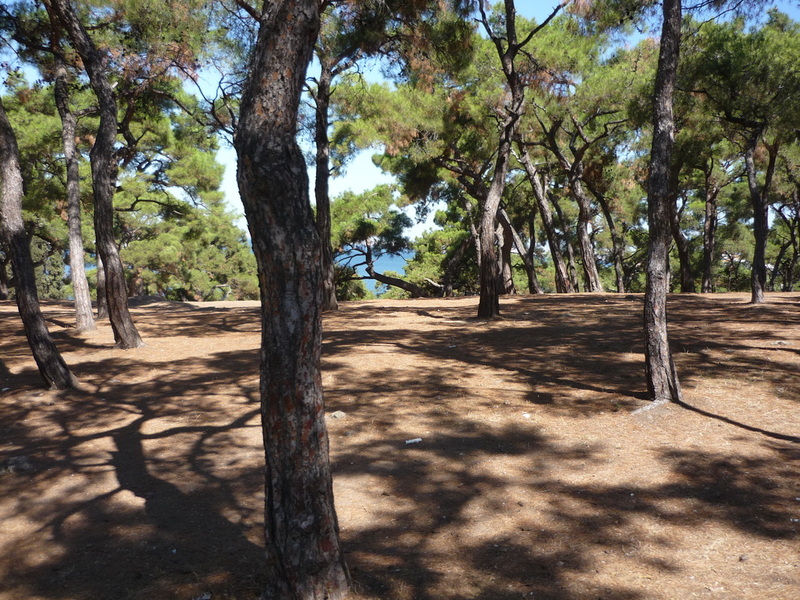 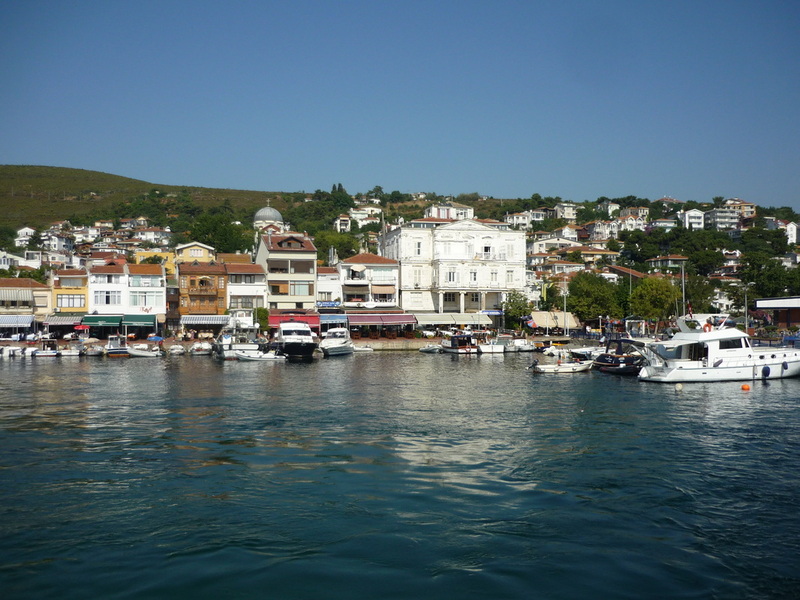 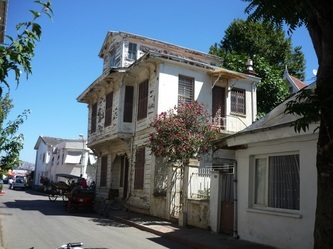 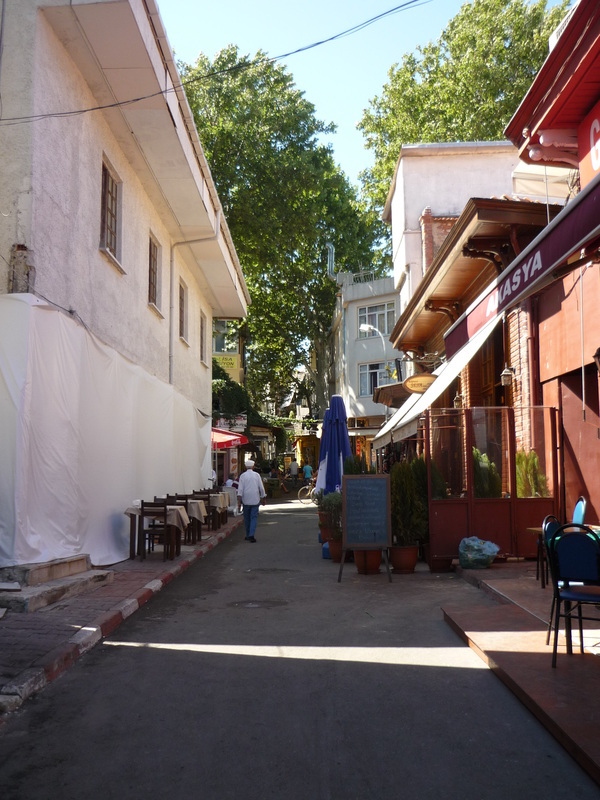 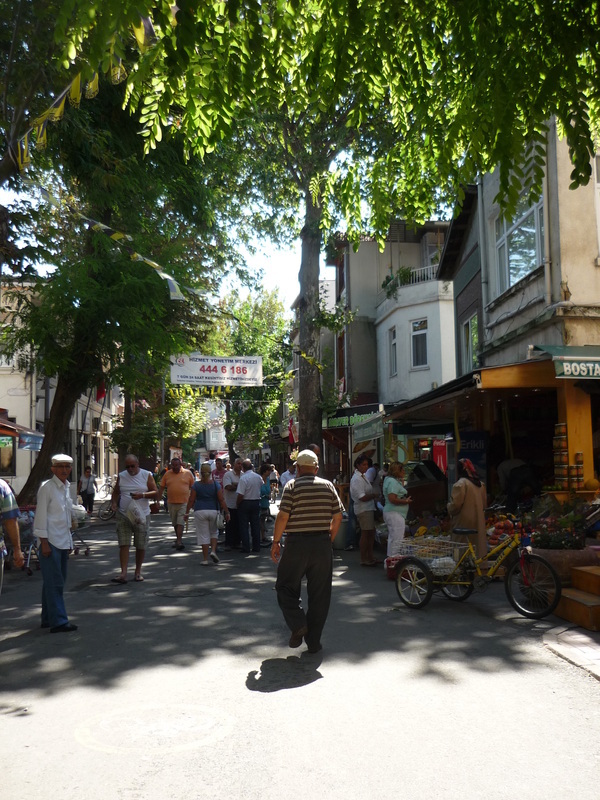 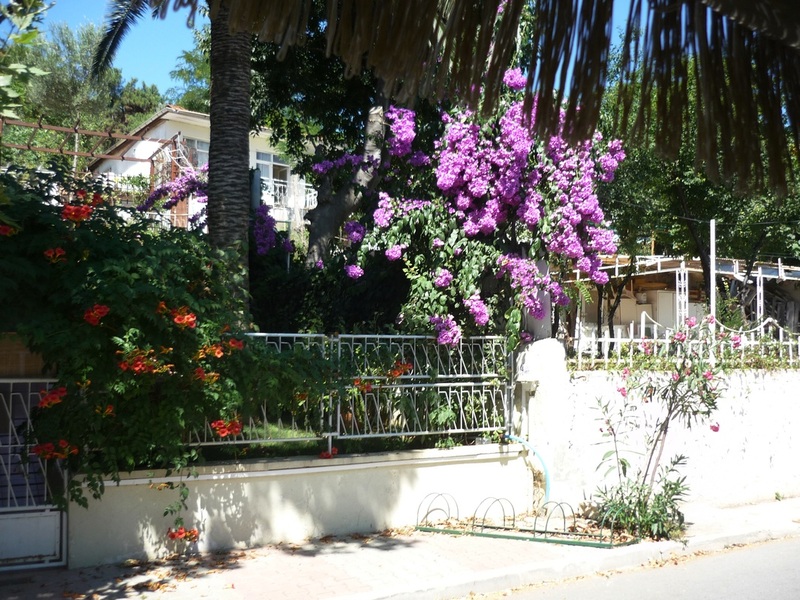 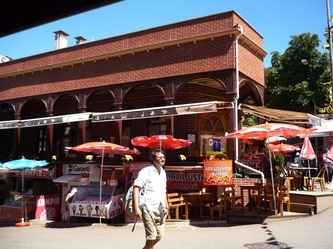 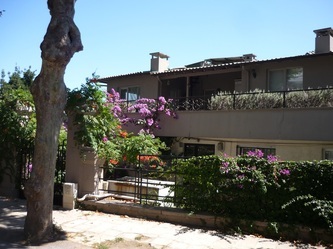 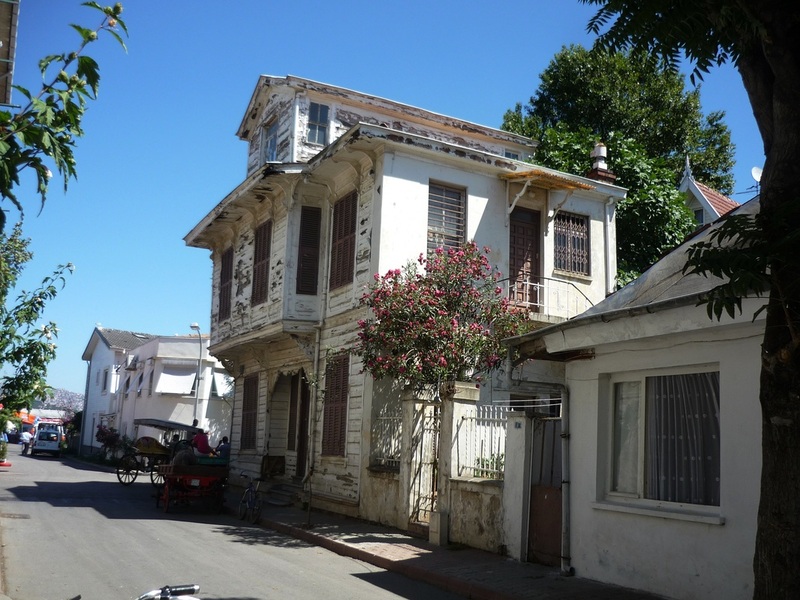 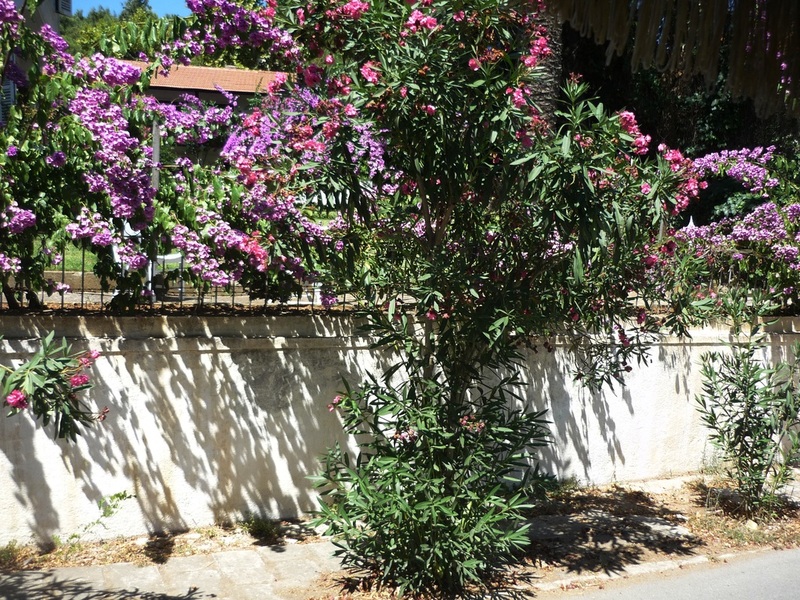 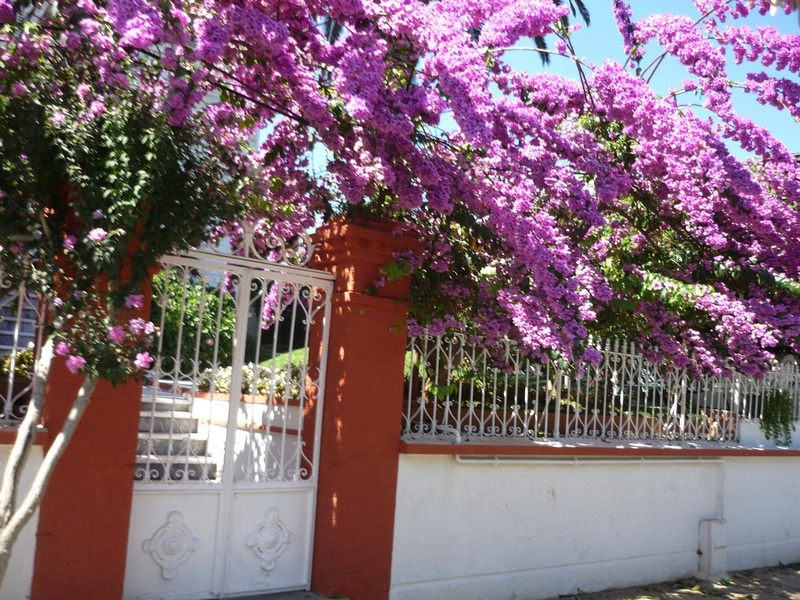 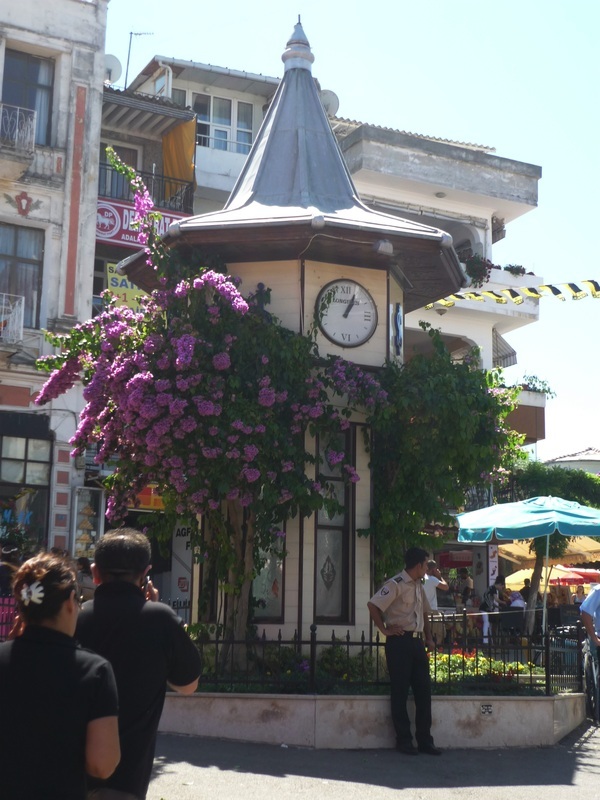 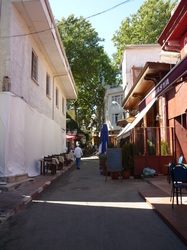 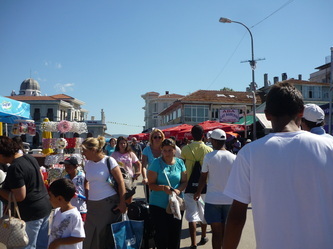 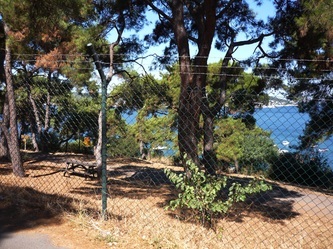 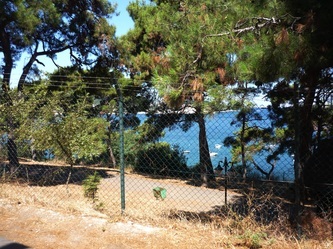 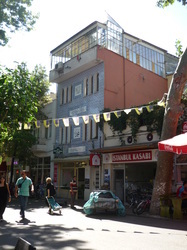 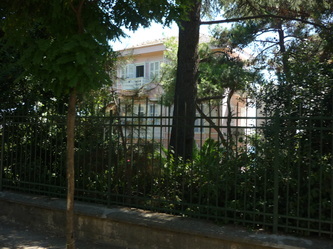 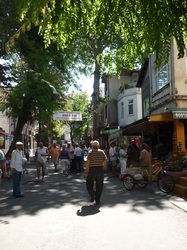 Buyukada was loaded with foreign tourists and has a lot more facilities as a result. One of the entertainments there is to take a horse cart to the top of the island for a view, and, being a tourist, AlteCocker checked that one off the list! 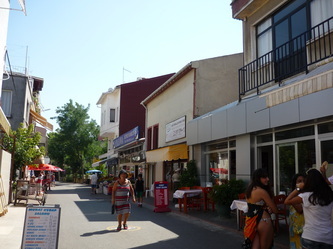 I don't believe cars are allowed on Kinaliada except for residents. 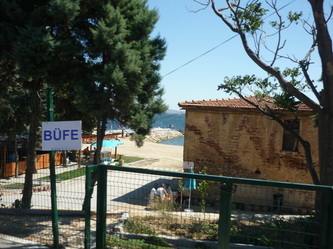 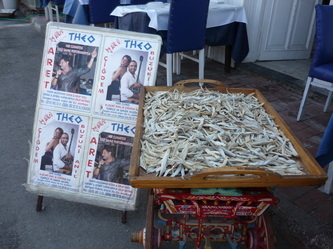 I think they are banned entirely on Buyukada. 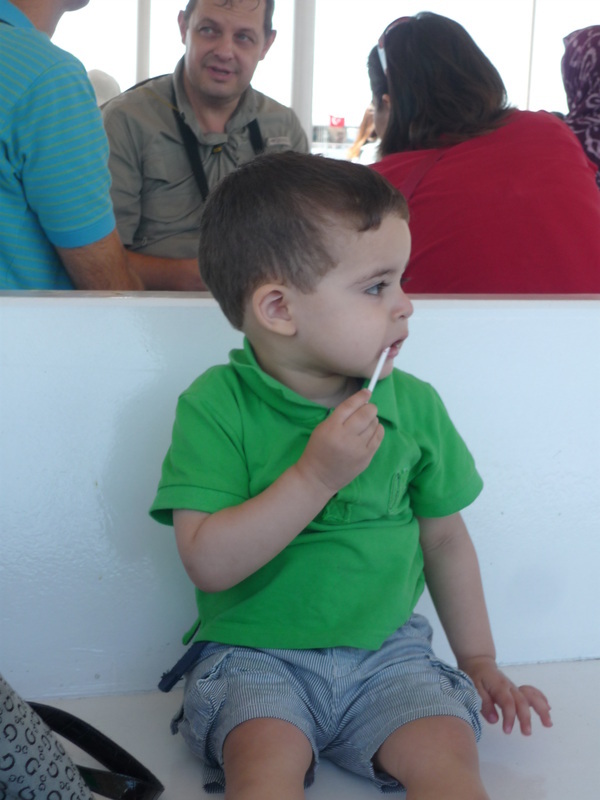 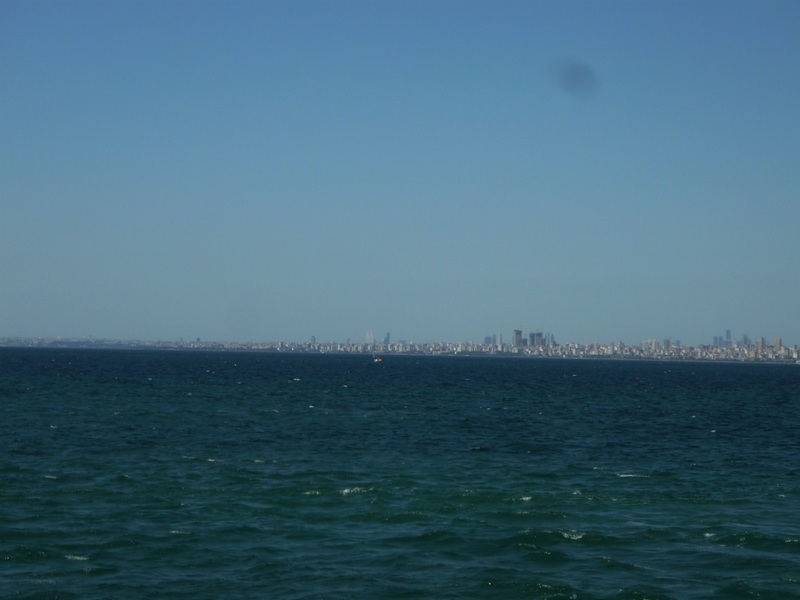 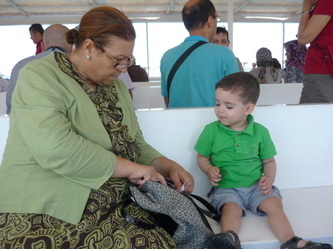 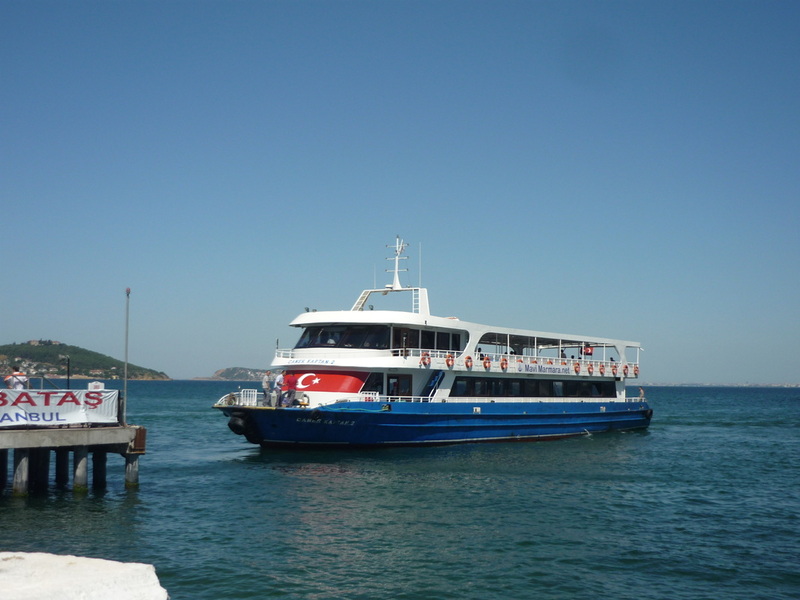 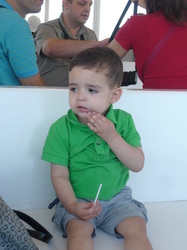 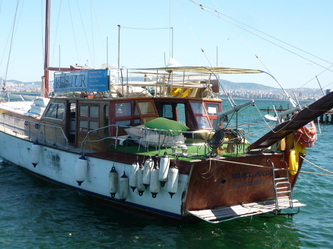 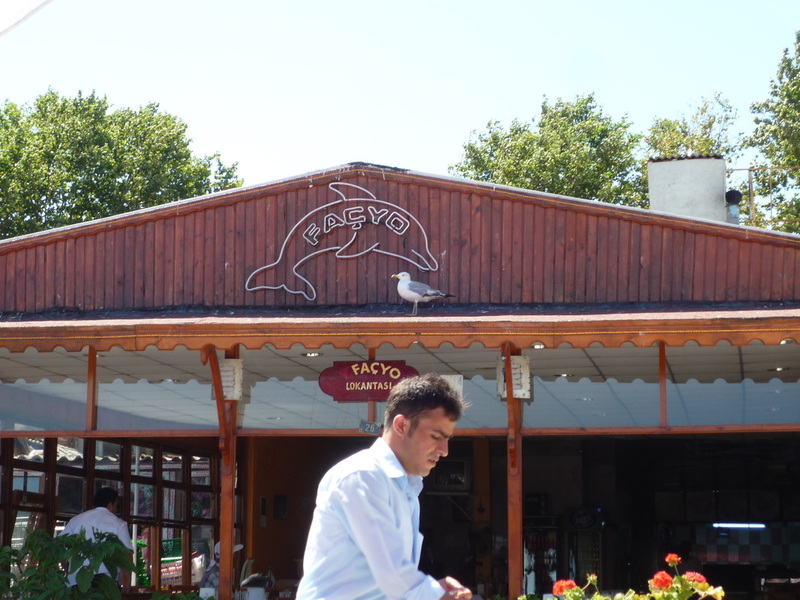 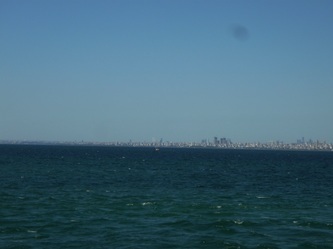 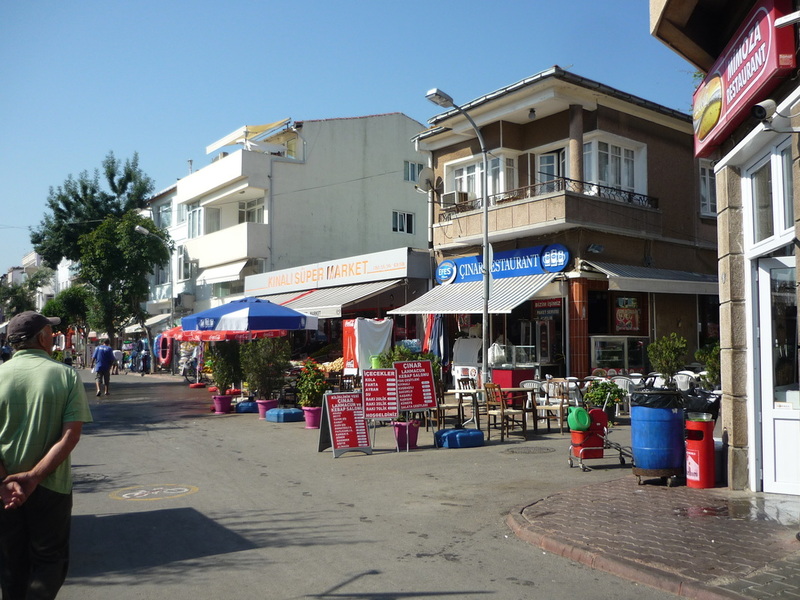 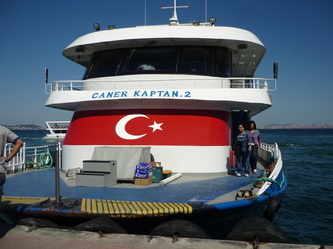 The ferries from Bostanci leave very frequently and there is no need to book ahead.